The key to Tuscan style decorating is remembering that Italian decor is inspired by the unique elements of nature. Use of wrought iron accessories, the appearance of crumbling stone walls, rustic stone farmhouse decor, marble flooring and hard sturdy wood furniture definitely gives the taste of Italy. 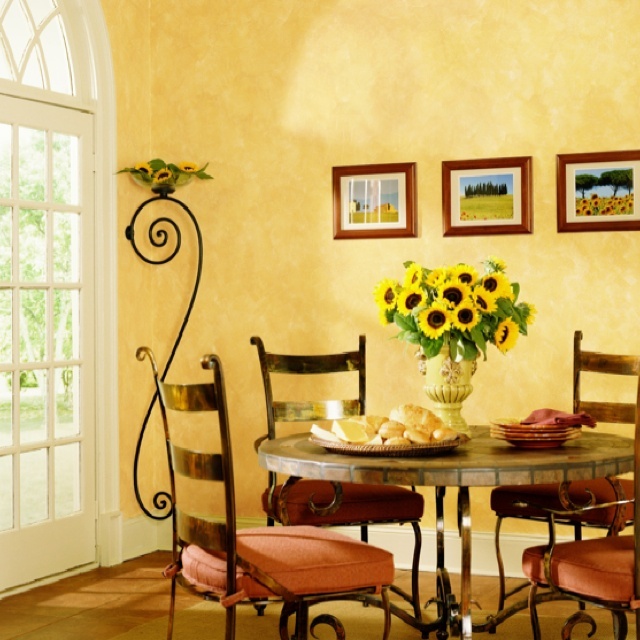 In today’s homes, Tuscan decor is desirable because it is simple, yet gives off a comfortable and inviting feeling. It also provides the ability to show off pieces that have been loved in your family for many years. These are the types of advantages that Tuscan interior design has. Tuscan decor involves the use of marble for flooring, pillars and arches. Terra cotta tiles should definitely be used as this material is found all around Tuscany. I will teach you step by step how to decorate any room in your home Tuscan style, any budget. Create a genuine Tuscan ambiance utilizing today’s Tuscan design techniques. Bathroom, Kitchen, Living and dining room, Bedroom…. Learn how to pick your flooring, cabinetry, accessories and more. Tons of Tuscan home decorating ideas. Click Here for more details.